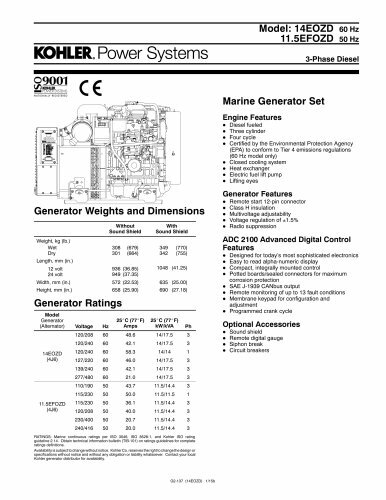 Power Systems KOHLER CO., Kohler, Wisconsin 53044 USA For the nearest sales and service outlet in the BATTERY CONNECTION (OPPOSITE SIDE} NOTE: Dimensions in  are inch equivalents. NOTE: This drawing is provided for reference only and is not intended for installation planning. Contact your local distributor for more detailed information. © 2009, 2010, and 2015 by Kohler Co. All rights reserved.